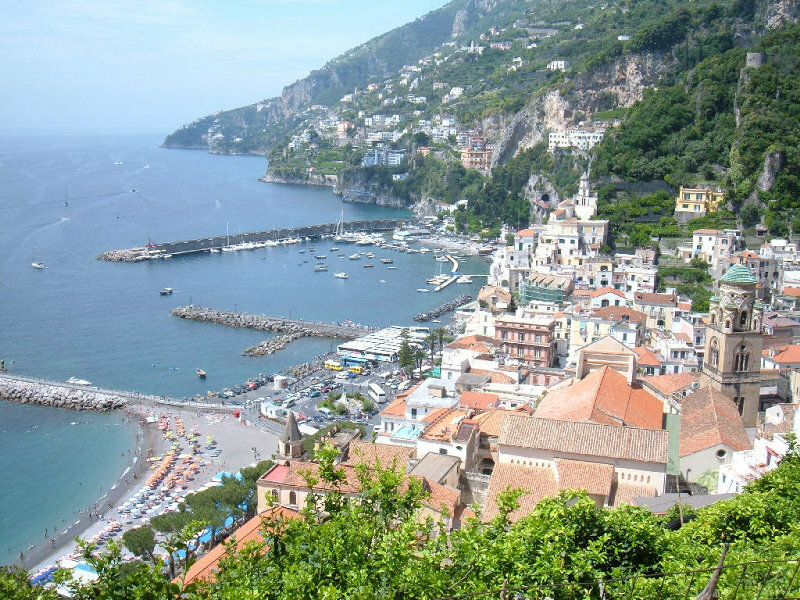 What about a full day excursion to visit Positano Amalfi and Ravello? The trip lasts about 8 hours and I will be glad to pick up you at your hotel, Naples port or train station and let you start an experience which you will never forget. I will guide you on Amalfi Coast, stop along the way for some “secret” spots, visit places that are not visited by ordinary tourists and you will never find by yourself. I will also give you interesting information about the scenary, the towns and the history. If you want after the visit of Positano I will be glad to suggest you a beautiful family restaurant on the top of Positano overlooking the sea where the “mum chef” cooks their own products or after the visit of Ravello I can suggest you to have the lunch there in a magical place with an amazing view of the whole Coast from the top. It will be a faboulous experience that will forever remain in your memory!!! 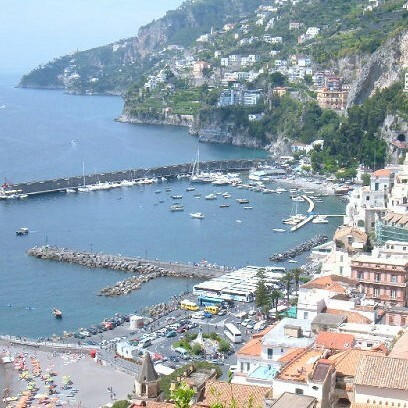 Amalfi is a very picturesque town surrounded by stunning views, incredible sagging cliffs above the sea, a mild climate, lovely beaches, whitewashed houses clustered together and clinging to rocky cliffs, a marvelous grotto (Emerald Cave) which is full of stalactites and stalagmites. The artistic and architectural value of monuments, the indescribable beauty of the landscape, folklore traditions have made and make it an incomparable place. 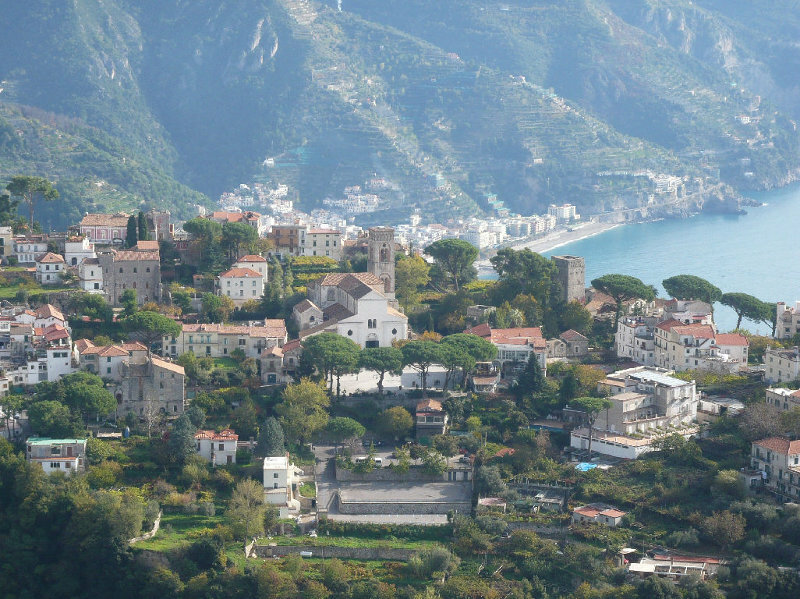 Ravello: The world's most beautiful terrace over the sea. 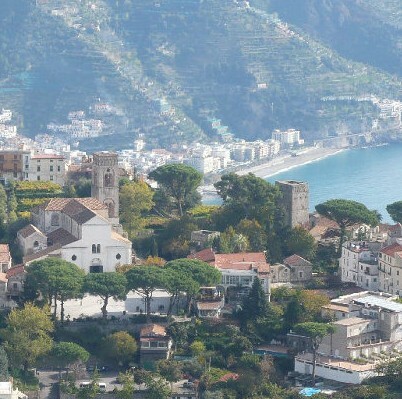 The terraces of Villa Rufolo and Cimbrone, from which you can admire a breathtaking view, enchanted Wagner and Greta Garbo, in honor of which, every year is arranged the International Festival of Music, which made Ravello famous as a city of the music on the Amalfi Coast. The most famous travelers of all times described Ravello as the Land of enchantment, and chose it as a "spiritual homeland".